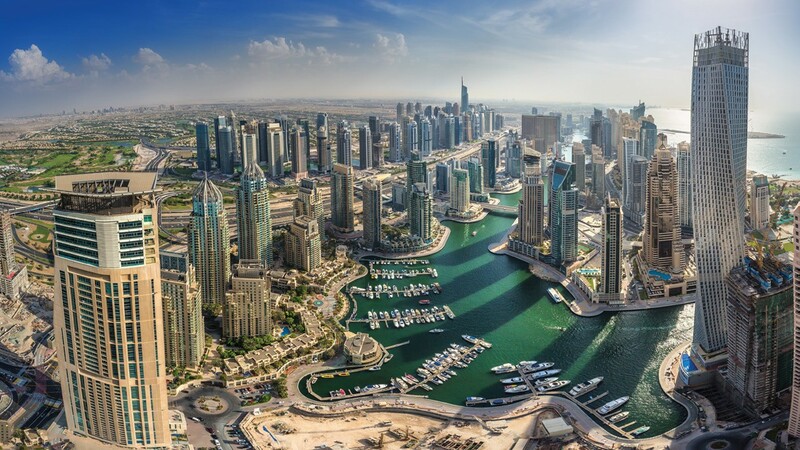 The United Arab Emirates is a modern and dynamic country. For most Western tourists, the U.A.E. offers an environment that is extremely familiar. The malls are extraordinarily modern, filled with virtually any product available in the West (save sexually explicit material; movies are censored, as are, to some extent, magazines). The less well known side of the U.A.E includes remote, magnificent desert dunes on the edge of the Empty Quarter and craggy, awe-inspiring wadis in the north-east bordering Oman. The island capital, Abu Dhabi, is home with room and crystal chandeliers for 40,000 worshipers. Dubai is the site of enormous shopping centers Burj Khalifa tower and entertainment attraction. The United Arab Emirates is an Arabian Peninsula nation settled mainly along the Persian (Arabian) Gulf. The nation is a federation of 7 emirates. Consular Section of UAE (for visa application): Emporio Financial Centre, House # 6, Road # 93 Gulshan Avenue (Gulshan-2, Notun Bazar Road), Dhaka-1212.